Knowledge translation recognizes the importance of mutually respectful collaborative relationships where researchers are responsive to the needs of communities and policy makers – and reciprocally, policy and community interests inform research, for example through the identification of gaps. Implicit in these relationships is the necessity to understand the context of the knowledge translation environment in order to develop a clear and applicable vision of how information can and will be used. This recognition guides the ethos of our approach to KT, as it demands attention to relationships at both an individual level and the web of relationships within communities. The Centre for Rural Health Research’s infrastructure and links privilege an integrated approach to knowledge translations with knowledge users. We work closely with care provider organizations, rural community leaders, decision-makers in regional health authorities, health professional educators, and the international research community. The Centre for Rural Health Research is housed within the University of British Columbia’s Department of Family Practice. 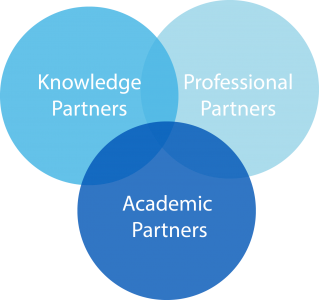 This provides the Principal Investigators opportunities to collaborate with other academics leading to dynamic and synergistic research collaborations. The Centre for Rural Health Research is funded by several competitive grants from the Canadian Institutes of Health Research (CIHR). The Principal Investigators are support by scholar awards from the Michael Smith Foundation for Health Research. Our research activities take place predominantly in British Columbia, where we work closely with decision makers and health planners responsible for rural health services around the province, including representatives from the BC Ministry of Health Services, First Nations Health Authority, Fraser Health Authority, Interior Health Authority, Northern Health Authority, Perinatal Service BC (PSBC), Rural Coordination Centre of British Columbia, and Vancouver Island Health Authority. In recent years, we have expanded our network to work with rural policy makers and planners across Canada in Alberta, Newfoundland, Nova Scotia, Nunavut, Ontario, and internationally in Australia. We work closely with care providers in rural communities through our community-based research, consultations, and research symposia. A number of rural practitioners have joined our research team as Community-Based Clinician Investigators pursuing independent research projects, or as Co-Investigators on large grant-funded studies. 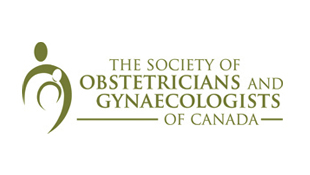 These care providers include rural family physicians, general practitioner surgeons, obstetricians, midwives, and nurses, as well as leaders from the BC General Practice Services Committee, Midwives Association of British Columbia, Society of Rural Physicians of Canada, and Society of Obstetricians and Gynaecologists of Canada. The Centre for Rural Health Research team also collaborates with allied health professionals, such as doulas and ambulance attendants, as well as leaders in individual rural communities. This web of partnerships keeps our research grounded in the lived experiences of rural health service providers.